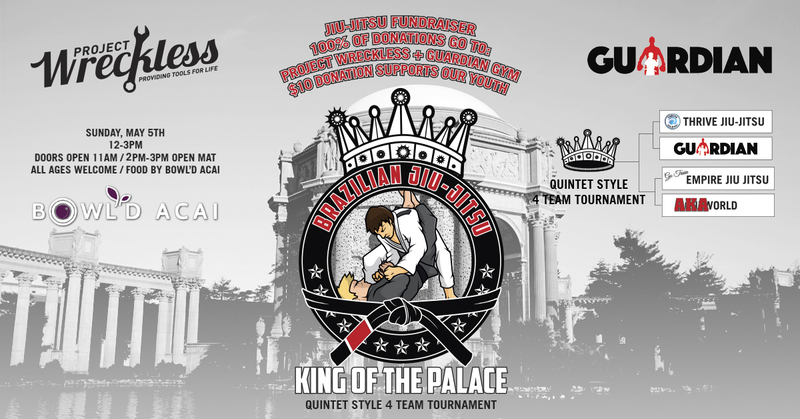 Join us at the Palace Of Fine Arts for a jiu-jitsu fundraiser. This event is free for all ages. A $10 donation supports our youth with 100% of the proceeds going to Project Wreckless and Guardian Gym. These programs help shape the lives of the youth in our community by providing them with free after school activities.